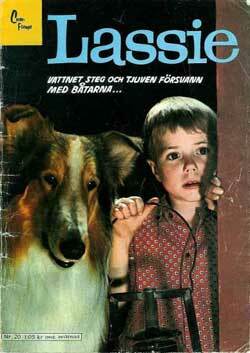 What's that, Lassie? Tony's in the well? You know we are well and truly into "Lassie mode" - our way of informing you we have no new column today - when even these quick and pathetic substitutes are posting late. Though Justin is very busy on his freelance work, the blame for the frequent appearance of Lassie must fall squarely on my aged shoulders. There won't be any new installments of Tony's Other Online Tips at the Comics Buyer's Guide forums this week. But I hope to double up on them next week. Thanks for visiting. Lassie and I will be back tomorrow with more stuff. Just not a lot of it.